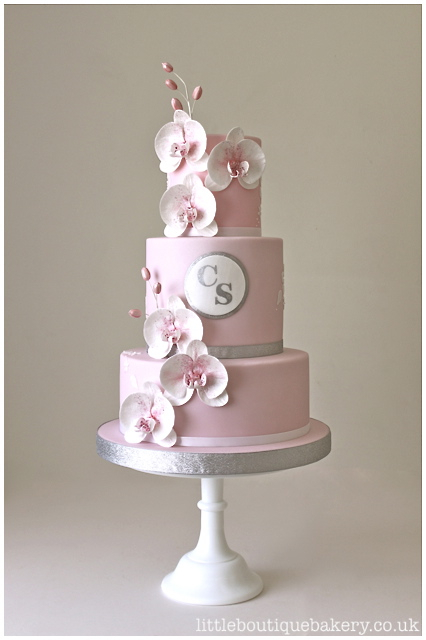 A wedding cake designed for a wedding in Tunbridge Wells, Kent. 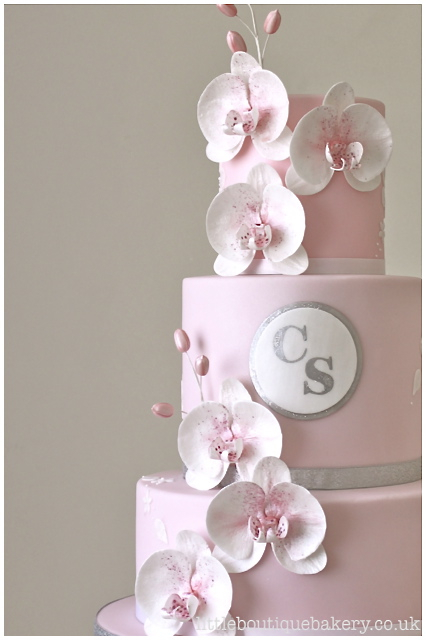 A contemporary pale pink design featuring white sugar moth orchids and personal monogram. The design included some silver details and font used in the wedding stationary with hand cut lace details around the sides of the wedding cake with some sparkle. 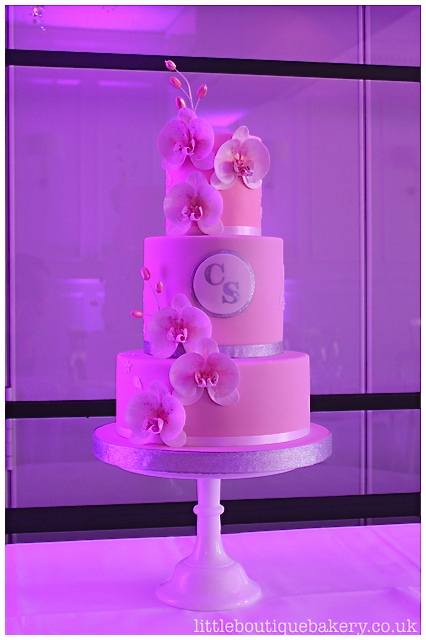 Our lovely couple Charlotte and Sanjog chose our madagascan vanilla cake with a seedless raspberry preserve and vanilla bean buttercream and madagascan vanilla cake with a dark chocolate ganache to serve to their guests.